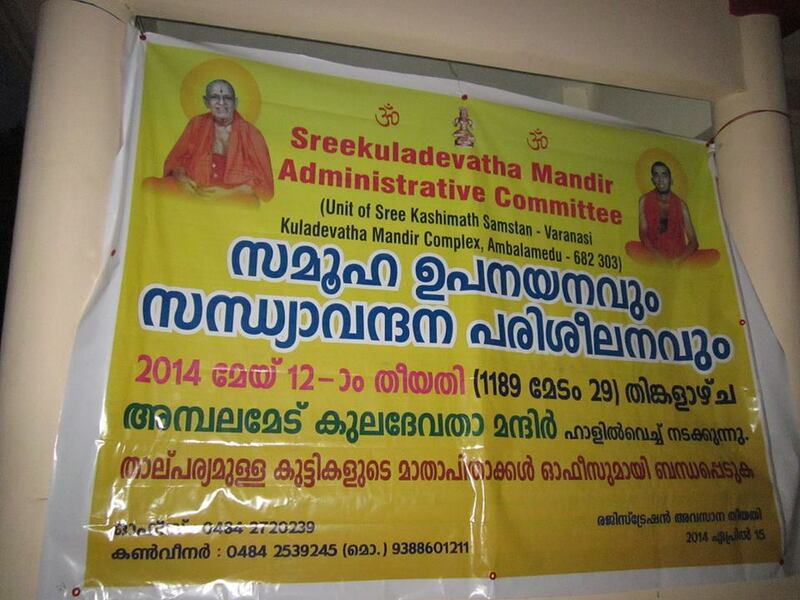 Those performing Seva will be honoured with Prasadam and Ashirvadam at the Kuladevata Sannidhi. All kinds of donations and fruits, flowers, Yagna and Abhisheka samagris will be gratefully accepted. We request all Kulavis to extend their cooperation and participation in all the functions on the above five days with their presence, especially on the Prathishta Day on Tuesday, 18th Feb ’14 and be blessed by Sree Kuladevata and our Dharmaguruvaryas.